To travel by train from Hua Hin to Ipoh you need to change trains at Padang Besar Railway Station in Malaysia. Thailand train services terminate at Padang Besar Railway Station just over the border in Malaysia. Its easy to change trains as Thai and Malaysian train services both operate out of same the station just on different platforms. 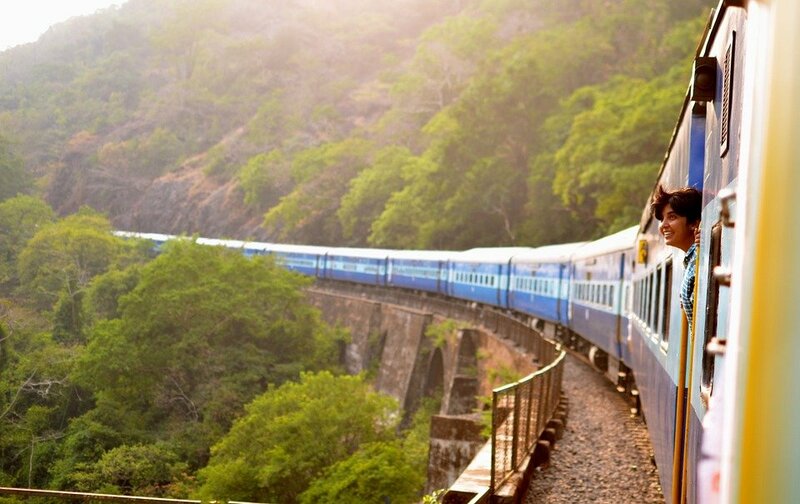 Check ticket availability for train travel from Hua Hin to Padang Besar. Train times from Padang Besar to Ipoh. Check ticket availability for train travel from Padang Besar to Ipoh. 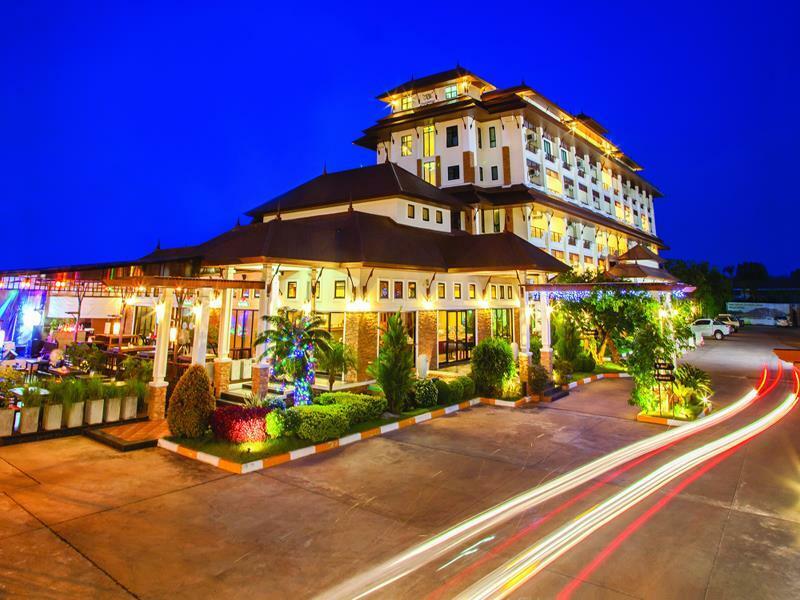 Train services to Padang Besar depart from Hua Hin Railway Station which is a short distance from the popular Night Market in Hua Hin. Thailand train services terminate at Padang Besar Railway Station which is the northern terminus for Malaysia’s West Coast Railway line. Ipoh Train Station is easy walking distance from Ipoh Old Town. Over the past few years Ipoh has been transformed from a depressed former mining town to a popular tourist destination. Ipoh has a rich history from the period from the mid 19th Century to the mid 20th Century when it was the centre of the world’s tin mining industry and also part of the British Empire. The British colonial government built a number of notable buildings in Ipoh that many visitors come to the city to see. Amongst these are the grand old railway station, known locally as the ‘Taj Mahal of Ipoh’ and the nearby Town Hall and Court buildings. All three were designed by renown British architect Arthur Benison Hubback who also designed the Jamek Mosque in Kuala Lumpur and the magnificent Ubudiah Mosque in Kuala Kangsar. Chinese and Indian immigrants also came to Ipoh and left their own mark on the city. The Chinese influence is evident in Ipoh’s Old Town area with Chinese style shop buildings clustered in and around Concubine Lane and some interesting Chinese style temples such as the Tai Pak Koong Temple and the Guan Yin Temple. 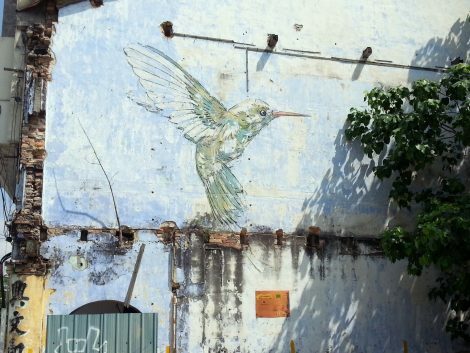 A more recent attraction added to the city is its street art, which has appeared all over Ipoh following the creation of 8 murals in 2014 by artist Ernest Zacharevic. Ernest Zacharevic’s work has inspired a broad range of other international and local artists to create their own street art. The most famous pieces of street are located in Ipoh’s Old Town area and you can see them at the same time as looking at the old buildings.